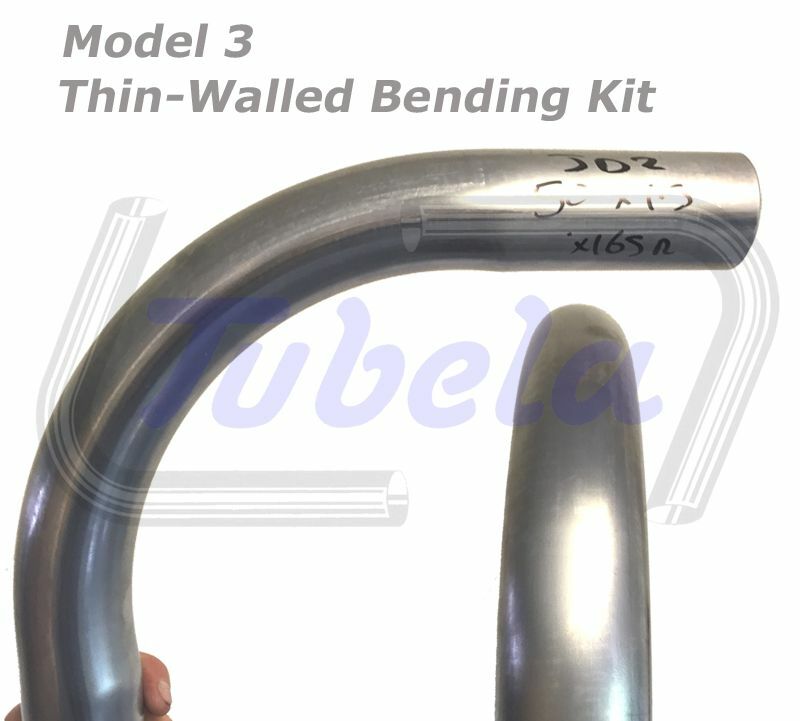 A Tubela developed 'Thin-Walled Bending Kit' for the JD2 Model 3 Tubebender. 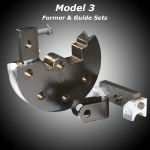 This Kit helps you to bend Stainless Steel, thin-walled Steel, Aluminium and Galvanised pipe. Size: - Please Select - n/a 1"1/4OD x 4.5" 1"3/8OD x 5.5" 1"1/2OD x 5.5" 1"1/2OD x 6.5" 1"5/8OD x 5.5" 1"3/4OD x 5.5" 1"3/4OD x 6.5" 50mmOD x 165mm 2"OD x 6.5" 2"OD x 7.5" 1"NB x 4.5" 1"NB x 5.5" 1"1/4NB x 5.5"
Size, Less ASB Bar: - Please Select - n/a 1"1/4OD x 4.5" 1"3/8OD x 5.5" 1"1/2OD x 5.5" 1"1/2OD x 6.5" 1"5/8OD x 5.5" 1"3/4OD x 5.5" 1"3/4OD x 6.5" 50mmOD x 165mm 2"OD x 6.5" 2"OD x 7.5" 1"NB x 4.5" 1"NB x 5.5" 1"1/4NB x 5.5"
This Tubela developed 'Thin-Walled Bending Kit' for the JD2 Model 3 Tubebender was originally designed to help our customers bend Stainless Steel on their Model 3 tubebenders. 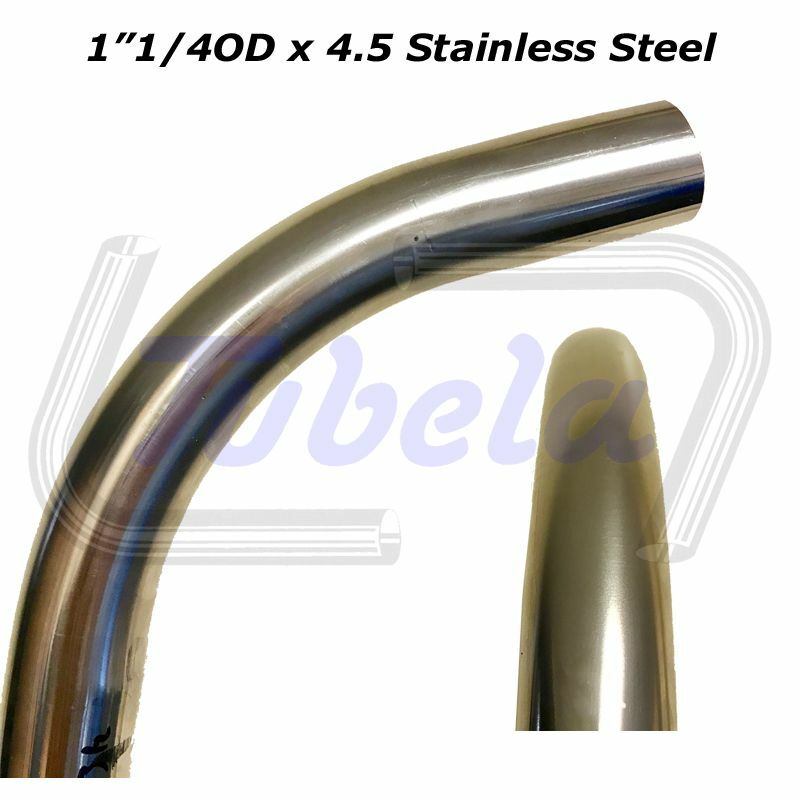 Stainless Steel is genereally stiffer and less maleable than steel, so harder to bend without wrinkling. 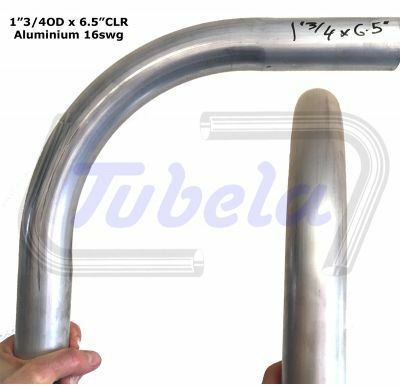 It also just happens to bend thinner Steel and thinner Stainless than the original fixed Guide, giving you a rounder back and less ovaling. 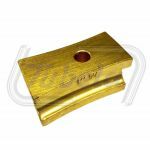 It will also bend thin walled Aluminium aswell - as pictured. The kit utilises our Slide Guide technology which has the additional benefit or not marking the tube you are bending, as it moves with the tube. 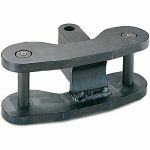 Also an Anti-Spring Back Bar* (ASB Bar) is used. 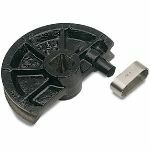 Spring back is a major cause of wrinking as it allows the tube in the Former to relax. So locking the tension in the system prevents this. 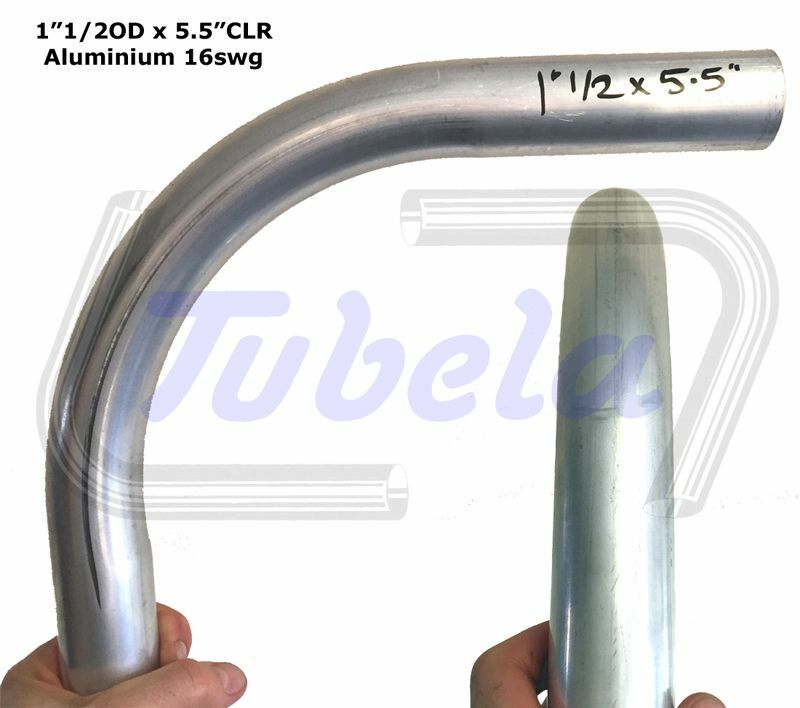 Plus it aids your bending efforts as the tube and Former do not pull back due to the spring, meaning less work for you. 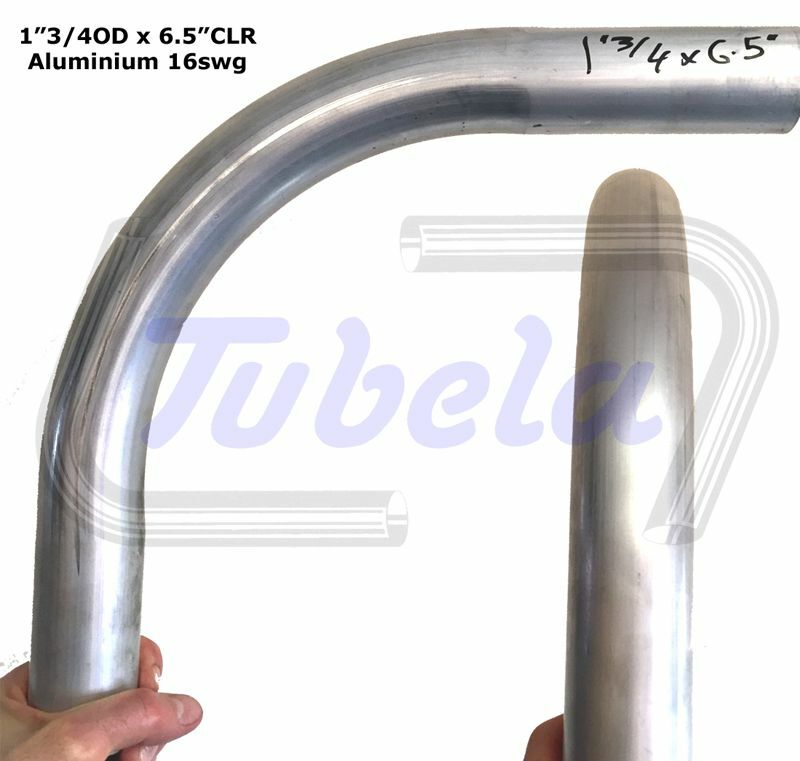 A Roller that has been specifically machined to a certain size for that radii and OD of tube. 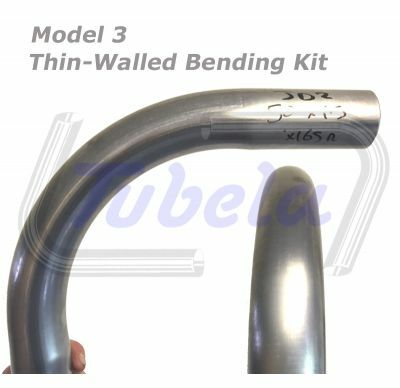 This reduces any slack or lead when you start bending, which is very important to obtain a wrinkle free thin walled bend. 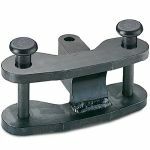 Additionally, with the kit you can go down a size in radii: for example minimum thickness in steel for 1"1/2OD x 6.5"CLR is 1.5mm, with the kit the 5.5" Radii at this thickness is possible, where normally it would be 2.1mm. You can also bend Stainless Steel to 1.8mm wall at the 5.5" radius. The kit utlises technology we developed for our Copper and thin-walled Ratchet machines. Galvnised pipe: the Slide Guide moves with the pipe thus helping to preserve the galvanised coating, compared to a standard fixed guide that would strip the coating off as the pipe is pulled through..
Current sizes on offer, see the Specifications tab. * The Anti-Spring Back Bar is the same item for all sizes, so if you already have one, select the option to remove the bar. 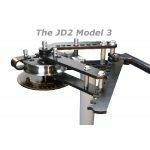 We are expanding the range, so if you have a requirement not listed then please get in touch, send us some tube and we will test and make a kit for you, as it does require precision measuring and machining in the making of the Slide Guide and Roller. Kits are made to order, expect 5/7days. 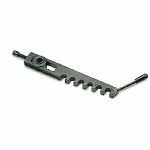 1"1/4OD x 4.5"CLR - min thickness, mild Steel ERW 1.2mm, Stainless (grade 304, 316) 1.5mm. 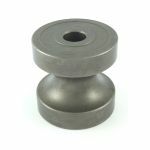 1"3/8OD x 5.5"CLR - min thickness, mild Steel ERW 1.2mm, Stainless (grade 304, 316) 1.5mm. 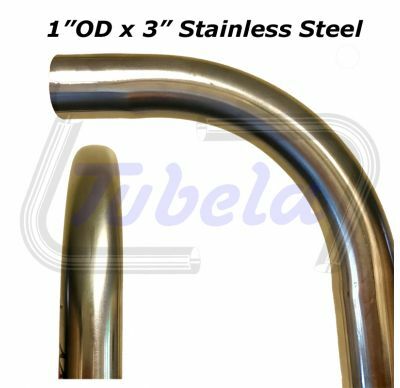 1"1/2OD x 5.5"CLR - min thickness, mild Steel ERW 1.5mm, Stainless (grade 304, 316) 1.8mm. 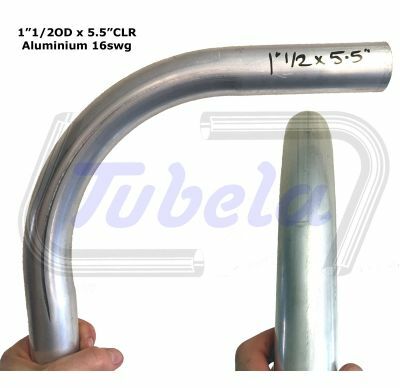 1"1/2OD x 6.5"CLR - min thickness, mild Steel ERW 1.2mm, Stainless (grade 304, 316) 1.5mm. 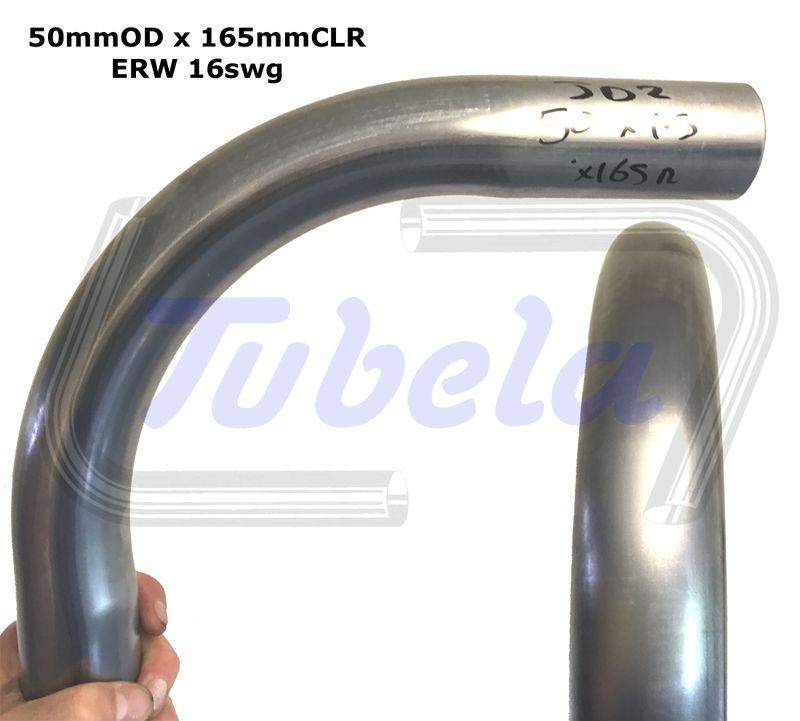 1"5/8OD x 5.5"CLR - min thickness, mild Steel ERW 1.5mm, Stainless (grade 304, 316) 1.5mm. 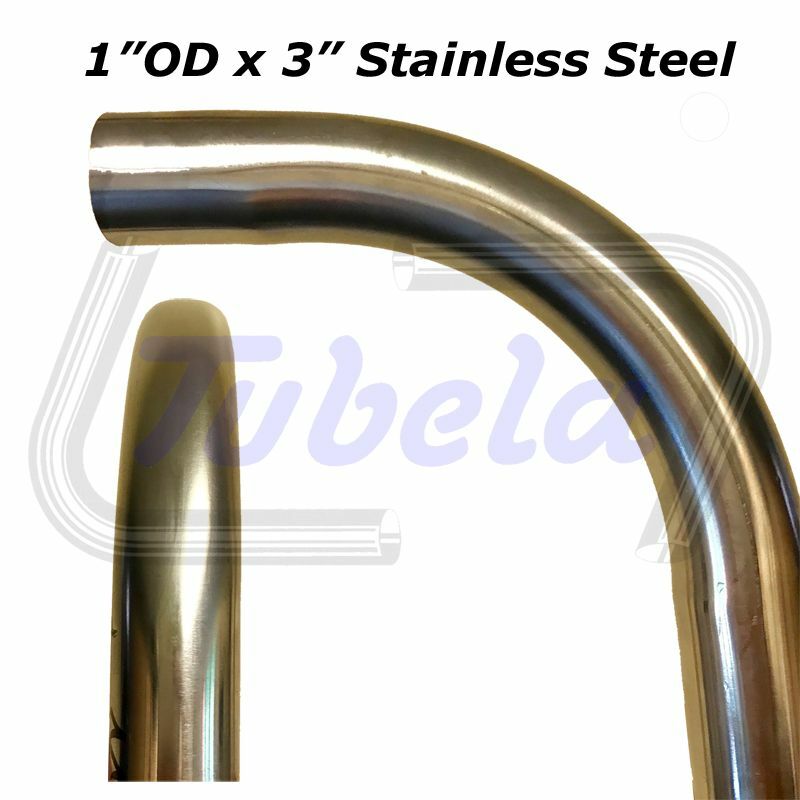 1"3/4OD x 5.5"CLR - min thickness, mild Steel ERW 1.5mm, Stainless (grade 304, 316) 2.0mm. 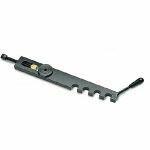 1"3/4OD x 6.5"CLR - min thickness, mild Steel ERW 1.5mm, Stainless (grade 304, 316) 1.5mm. 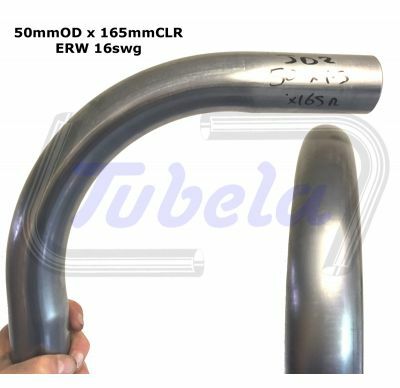 50mmOD x 165mmCLR - min thickness, mild Steel ERW 1.8mm, Stainless (grade 304, 316) 2.0mm. 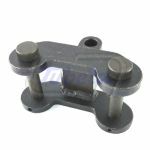 2"OD x 6.5"CLR - min thickness, mild Steel ERW 1.8mm, Stainless (grade 304, 316) 2.0mm. 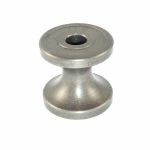 2"OD x 7.5"CLR - min thickness, mild Steel ERW 1.5mm, Stainless (grade 304, 316) 1.5mm.